This week, Diploma Programme Language B students were in luck to receive a special visitor: arguably the most famous of Cheddar Man’s descendants, Adrian Targett from Cheddar, UK. He is a former history teacher and happens to be in the Netherlands to visit his cousin—my partner’s mother who is half British and Dutch. DP1 English Language B students were eager to meet him and ask questions. During the 40-minute session they heard stories about how Adrian found out about being a descendant and how the discovery has affected his life. “It’s been an incredible opportunity to get to visit different places and speak to people about this,” he stated. This year at ISUtrecht, we started our first cohort of IBDP English B Higher Level students, just in time for the new Language B syllabus. Changes to the syllabus include five new themes (Identities, Experiences, Human Ingenuity, Social Organisation, and Sharing the Planet) instead of the “core” and “options” structure previously used. Assessments are also slightly different—the externally-marked written response (Paper 1) and internally-marked individual speaking component are now worth 25% each, whilst externally-marked comprehension tasks (reading and listening in Paper 2) comprise 50% of the total score. The aim of the course is to build linguistic fluency and intercultural understanding so that students can expand their cultural competence in a globalised world. Students who successfully complete English B, along with a Group 1 course in another language (Dutch Language and Literature or self-study literature) are able to receive a bilingual diploma. While our class has been exploring the first theme of “Identities” and what it means to be human, we encountered a variety of riveting topics for discussion: personality traits (Myers-Briggs), cultural iceberg theory, individualist vs collectivist societies, LGBT, race, and belief. 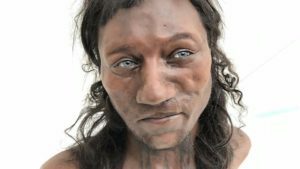 During an activity about race & identity, students completed a comprehension carousel about three texts on genetics and identity: one about the role of DNA in our identity, another on implications of genetic studies for white nationalists, and lastly about DNA testing on Cheddar Man, Britain’s oldest complete skeleton from the Mesolithic era (circa 9100 BP). 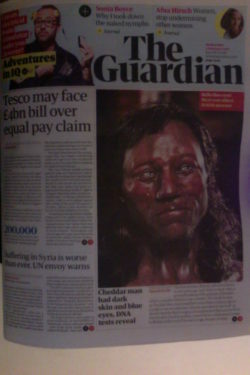 Additional information can be found here about Cheddar Man from the British National History Museum. “Smart answer,” one student responded among the uproar of laughs. 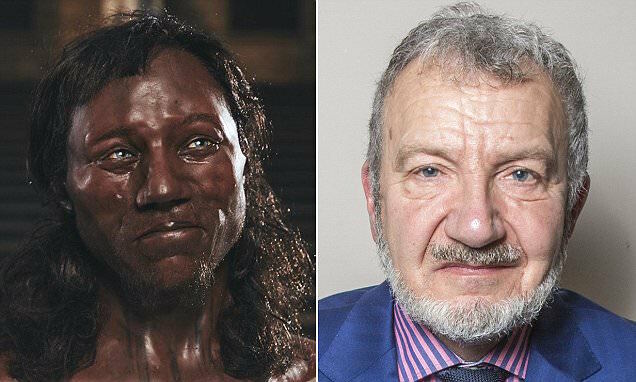 The latest DNA findings in February 2018 about Cheddar Man’s dark skin color has generated resistance, especially among nationalists and the far-right on the political spectrum. One congressional candidate in the US, for instance, was banned from Twitter after a racist meme about Prince Harry and Meghan Markle, whose face was superimposed with Cheddar Man.